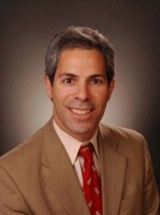 Rumberger, Kirk & Caldwell Tallahassee partner, Richard A. Greenberg was a featured speaker at the Florida Association of Criminal Defense Lawyer’s Criminal Law Certification Review course in Orlando at the Renaissance Orlando Airport Hotel. Greenberg provided a “Legal Ethics Update” in which he discussed several recent ethics opinions issued by The Florida Bar. Florida Bar Ethics Opinion 12-1 holds that it is unethical for a criminal defense lawyer to advise a client to accept a plea offer in which the client expressly waives any claims of ineffective assistance of counsel and prosecutorial misconduct. Also, it is unethical for a prosecutor to offer a plea agreement that expressly requires the defendant to waive these claims. Florida Bar Ethics Opinion 12-2 allows an attorney to provide their log-in credentials to the E-Portal to trusted non-lawyer employees to file documents which have been reviewed and approved by the lawyer. Nevertheless, the lawyer must properly supervise the non-lawyer employee and immediately take remedial steps if the non-lawyer employee leaves the lawyer’s employ or becomes untrustworthy. He also discussed the recent rewriting of The Florida Bar lawyer advertising rules. These rules take effect May 01, 2013. Finally, Greenberg discussed recent cases of lawyer discipline and cases addressing ethics issues in criminal cases.